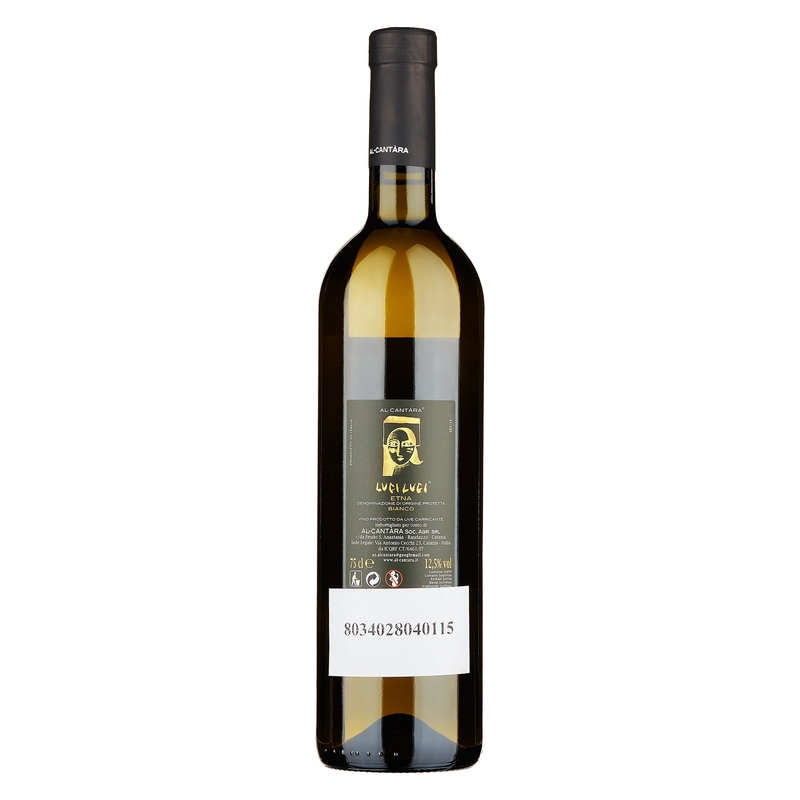 Straw yellow, in the nose it expresses all the typicality of Carricante, thanks to an aromatic profile characterised by notes of white flowers and fresh fruit, reminiscent of yellow apple and tropical fruit. All enhanced by a radiant mineral depth. Crisp on the palate, deep, streamlined and beautifully savoury. It closes with a very persistent finish. 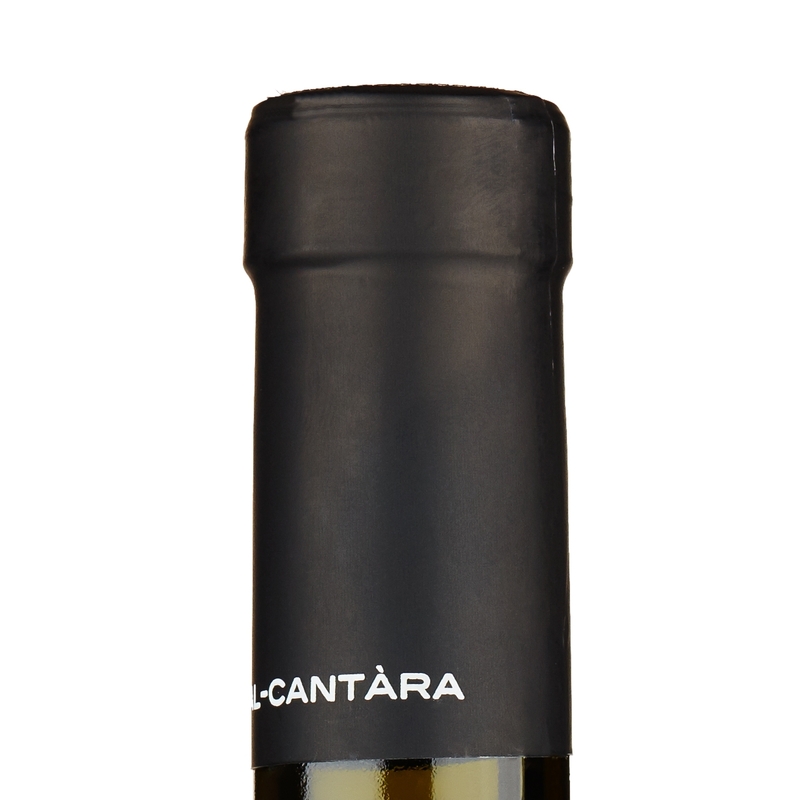 Sunny and elegant, it goes very well with strongly flavoured vegetarian dishes, better if cooked in the oven. Good with stuffed aubergine rolls. 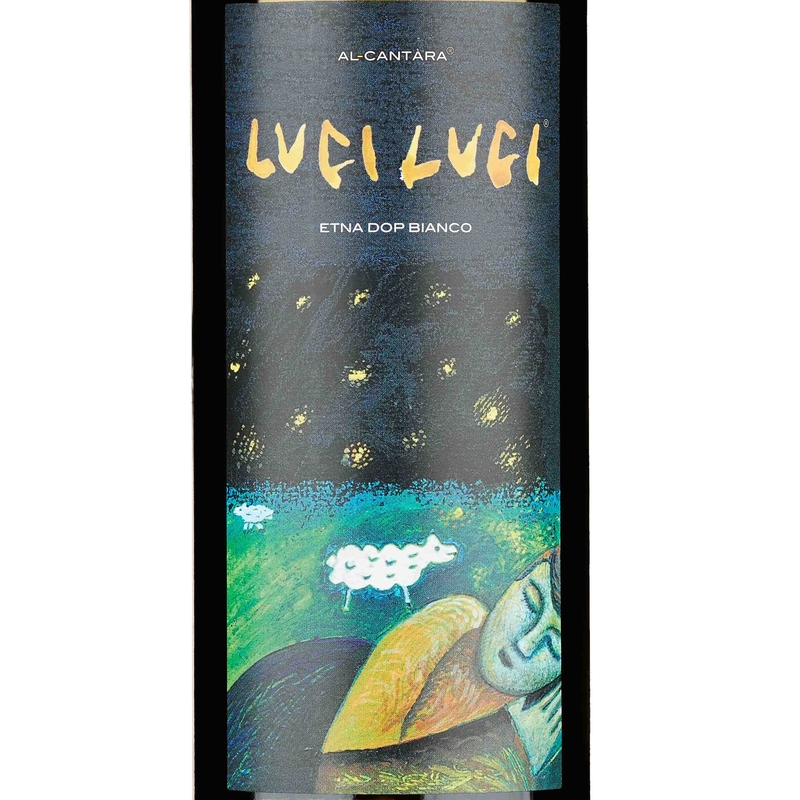 A native Sicilian grape, Carricante recently risked disappearing, after having been one of the most widely cultivated varieties for centuries, and not just on the slopes of Etna. 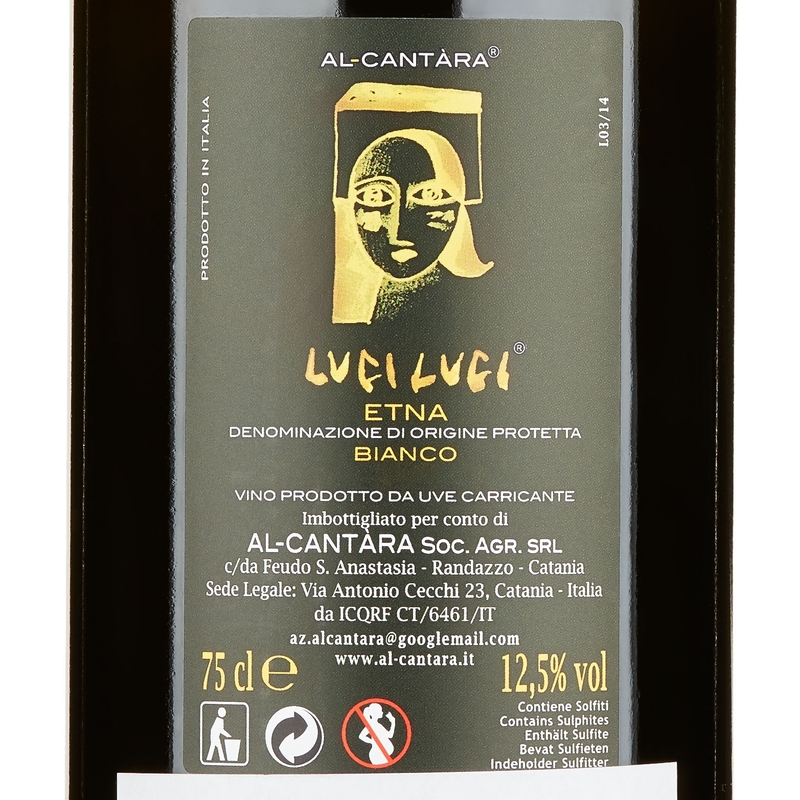 The resulting wines are deep and multi-faceted - like Al-Cantàra's Etna Bianco DOC "'Luci Luci" - characterised by an unmistakable savoury soul and an outstanding capacity for ageing. 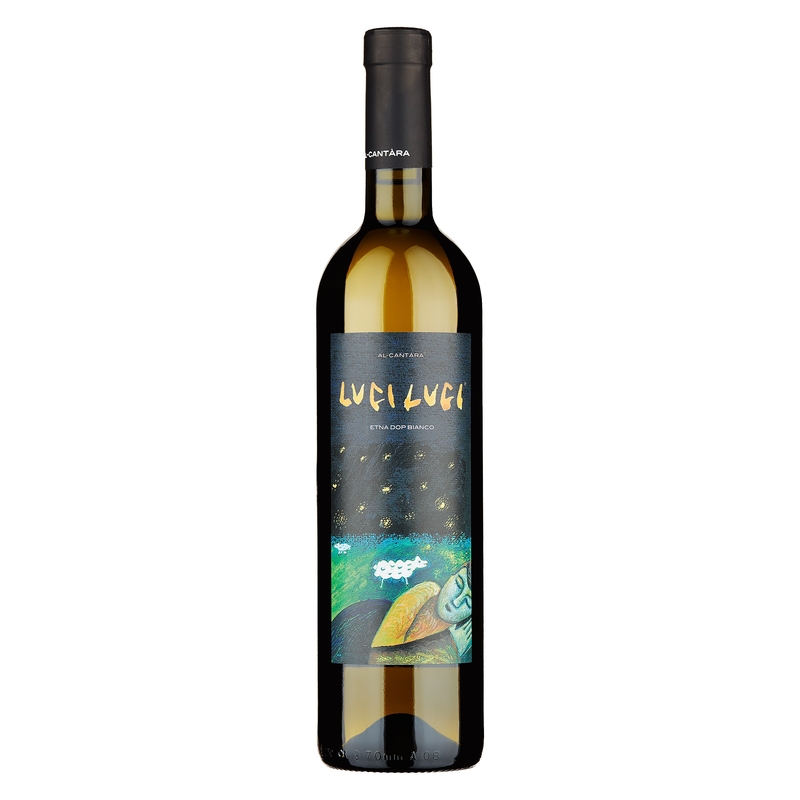 Over the long distance, they are bottles capable of amazing, the harshness remains largely intact while the aromas take on a welcoming and engaging dimension.